Riesling has never made a real renaissance in Asia despite the efforts and love of this variety among numerous top wine professionals. Yes, it has grown in popularity over the past decade, but not nearly at the same pace as Shiraz or Sauvignon Blanc. It is a variety that is sometimes viewed as ‘too sweet’, ‘too acidic’ or ‘too thin’. For Riesling fans – and I admit I am in this camp – there is no other white grape variety that offers the unique combination of delicacy, focus, lightness and purity. Ask any Master of Wine or Master Sommelier if they love Riesling and the answer will undoubtedly be ‘yes’! I can’t think of one serious wine professional that doesn’t love Riesling. In the best examples, there is a crystalline purity to its flavors, a laser-like precision and focus that takes your breath away. Riesling, unlike its more popular competitors, Chardonnay and Sauvignon Blanc, is never masked with oak, it’s rare to find a fat, full-bodied style. There is little of the winemaker’s hand in the final product and much more of the terroir expression, which makes it transparent, delicate and so enjoyable. While some novice wine drinkers taste a dry Riesling and may experience a ‘sour’ or ‘sharp’ taste, those who love Riesling view it as a wonderful kick of acidity, a linear tension that runs through the wine giving it length and the ability to age. My first white wine love was Riesling. I was first intrigued with the lightly sweet German Rieslings, either Kabinett or Spatlese styles, finding them delicate, floral, light-bodied and delicious. During the 1980s, one had to be careful about buying a wine labeled as ‘Riesling’ since numerous producers outside of Germany, from Californians to South Australians used this generic term that had little in common with the German versions that danced in my glass. It may not even have been made with the Riesling grape variety. With stringent international laws now in place regarding wine labeling, it is rare to find mislabeled Rieslings. What happened to the Riesling Renaissance in Asia? I know that pockets of Riesling enthusiasts in Hong Kong, Tokyo and Singapore continue to enjoy their Trocken or off-dry styles with some amassing a sizable collection of the sweet versions — from JJ Prum’s Ausleses to collectibles from Egon Muller’s range of wines. For the greatest collection of sweet German Rieslings, head to Robuchon au Dome restaurant in Macau. You will find a huge selection – a list running several pages of collectible Riesling that have aged as beautifully as any top Bordeaux or Burgundy red wine. Riesling aficionados are also seeking out and laying down the best examples from Alsace, Austria, South Australia and New Zealand. But the small pool of Riesling enthusiasts has not really grown very much in proportion to the general, mostly red wine boom in Asia. Everyone loves the sweet wines of Germany and it is an inimitable style with an incredible capacity for aging. However, I am also a big fan of the Trocken, dry Rieslings from Germany and those from Austria, Alsace and South Australia. Dry German Riesling had a reputation for being acidic, thin and dilute in the past, but this has changed dramatically thanks in part to climate change as well as the growth of quality-conscious producers. 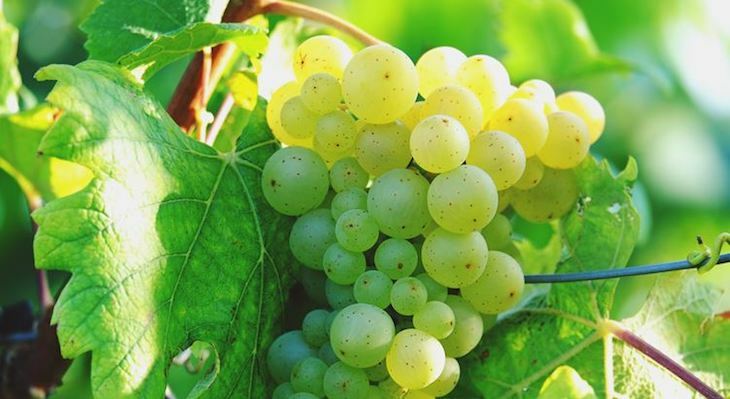 Dry Rieslings from Germany are now vibrant, filled with ripe fruit backed by fresh acidity. One benefit of dry styles is their versatility with food, especially Asian dishes that have strong umami flavors or have layered, delicate flavors. Sweet Riesling on the other hand, can often detract from the integrity of food flavors: An off-dry Kabinett for example will detract from a delicate steamed garoupa dish. In this summer heat, dry style Rieslings make wonderful aperitif wines to enjoy before a meal and also with numerous starters and salads: Trocken Riesling is perfect with a lemongrass infused fish or raw papaya salad. Firm acidity in Riesling has other benefits too – it adds refreshment value to the meal and is able to stand up to strong, pungent and even fermented flavors much better than wines that are flabby and fat. The beauty of German wine, be it dry or lightly sweet, is in its ability to pair with a wide range of ingredients and intense Asian spices. During the heat of this summer, even without food, Riesling is the perfect white wine enjoyed chilled and preferably by the pool or near the beach.